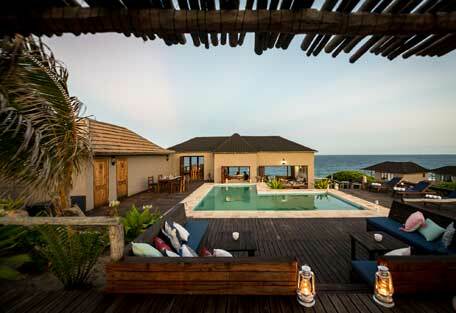 There is a sparkling swimming pool complete with swim-up bar, deck and outdoor dining area overlooking the spectacular Inhambane coastline. 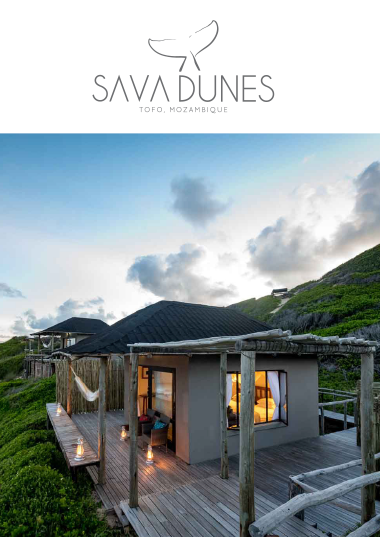 The main area of the lodge houses the bar and dining area, and is connected to each of the rooms via a winding wooden walkway that cuts through sparse coastal vegetation carpeting the undulating dunes. 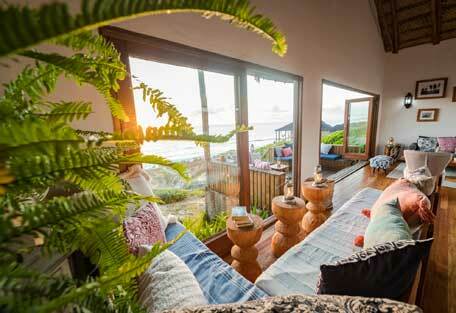 The beach is a few metres from your doorstep, and offers warm waters with a peeling surfable wave. There is a shoal of seahorses in the neighbouring estuary, a place that is ideal for snorkelling. 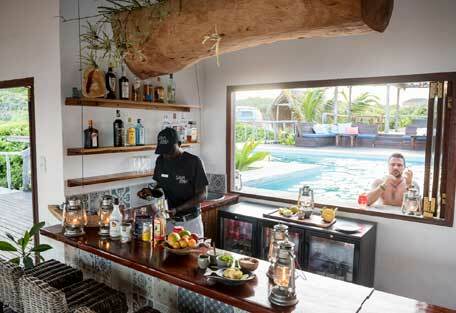 When you’re done with a day of water-based activities, return to the lodge’s outdoor lounge and deck area, gently float in the swimming pool towards the swim-up bar and order a tropical cocktail. 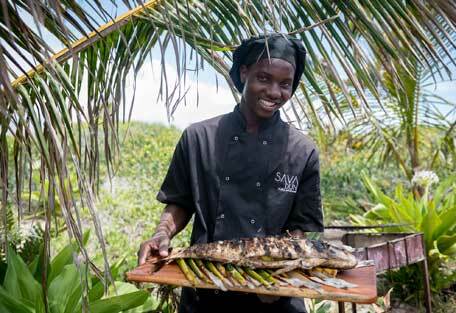 Day excursions for snorkelling, diving, ocean safaris and big game fishing can be arranged at the lodge, or prior to arrival. 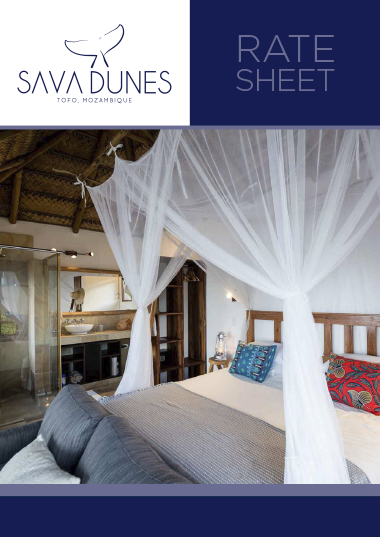 Sava is all about providing a tranquil beach retreat experience, while minimising your carbon footprint. Poolside furniture adorning the deck area: 1 x built in double bench seat, and 6 x sun loungers. There is also a covered deck area with a dining table and 2 x L-shape soft seating areas. There is a WiFi hotspot in the main lodge area and there is excellent 3G cell phone reception (Vodacom). 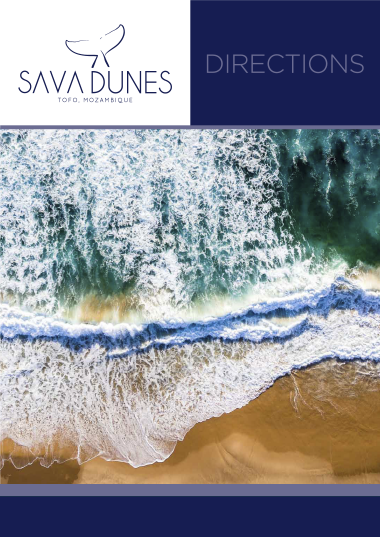 Sava Dunes is along the Inhambane coastline, and sits neatly on top of the beach dunes. 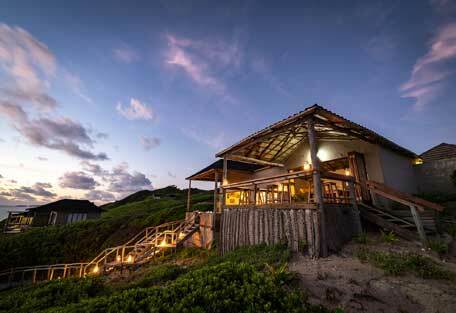 The location is quite a bit north of the seaside hub of Tofo (5.5 km ) and close to the south of Barra beach (1.5 km). 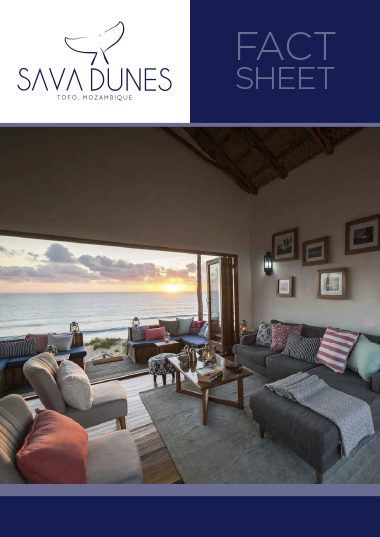 Sava is on the beach and guests are afforded ample opportunities to watch the sunset and sunrise over the ocean from the comfort of their lodge. A wooden walkway leads down to the shoreline, and the beach is perfect for surfing, swimming and long walks. The location? It's wild, remote and pristine! In terms of getting to the lodge, we recommend flying. 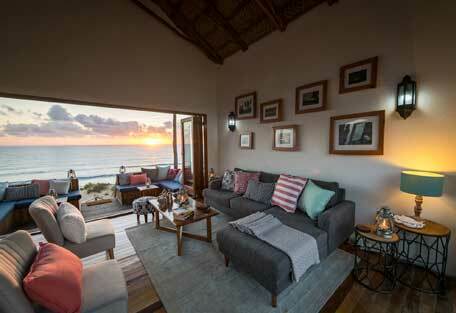 You will need to fly into either Vilanculos or Inhambane, and the lodge will transfer you from the airport. Road transfers from the relevant airport are at an extra cost and will need to be arranged along with your booking. 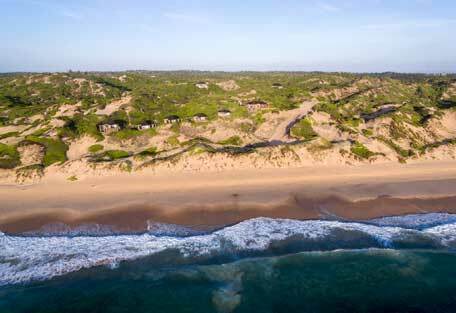 Inhambane is the closest and most accessible airport, and the lodge is only 25 km from the centre of Inhambane. 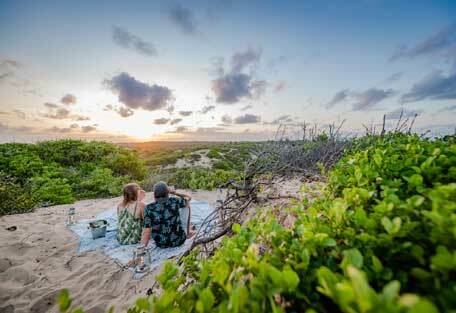 Vilanculos is about a 4 hour drive from Inhambane. Mozambique’s National Airline (LAM) has flights to Inhambane from OR Tambo Airport in Johannesburg, and connecting flights from Mozambique’s capital city Maputo. Both LAM and SA Airlink offer flights to Vilaculos. • Please enquire for driving directions to the lodge, and ensure you have a 4x4 and relevant experience before committing to driving.